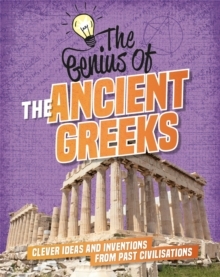 Which genius ideas and inventions began with the ancient Greeks? What did they develop that we use to this day? Find out how the ancient Greeks organised their society, trained their soldiers, used their ships for trade and transport and built their temples. Discover their brilliant developments in architecture, politics, art, medicine, theatre and sport that have influenced the way we live today.